“A journey of a thousand miles begins with a single step.” -Lao Tzu. While we often search for the destination, it’s in the journey that we learn. My journey, like most, started very different than how I anticipated it would turn out. I was introduced to yoga through my martial arts in 2001, but it wasn’t until 2009 that I started a consistent practice. I had just finished my probationary year with the fire department and was looking for something to help me with my rock climbing. I never had aspirations of teaching yoga. Even when I took my teacher training a year later, it was only to support my girlfriend at the time and deepen my own personal practice. I had a career as a firefighter/paramedic and yoga at that time was only a hobby, not a way of life. However, that all changed during my teacher training. I met a teacher that widened my mind and helped reveal what yoga truly is. After teaching my first mock class, I immediately fell in love with teaching yoga. I immediately fell in love with teaching yoga. I decided I would teach a few classes a week alongside my full-time job as a firefighter/paramedic. I did this for three years. Teaching in my small town, in Southern California about 2 hours east of Los Angeles. During this time, I was driving to LA once or twice a week to attend classes from the plethora of amazing yoga teachers that LA has to offer. The yoga community there took notice of my advanced asana practice, and I started to make my way into to the LA yoga scene, creating friendships with many of the now “famous” yoga teachers. In February of 2013, I was laid off from the fire department. At this time, teaching yoga was still only a part-time thing I did, and I never thought of it as a viable career. After losing my job, I searched for jobs, went down different ideas of new career paths and spent all of my savings. After about six months of being unemployed, my teacher invited me to help assist him at his teacher training school in Mexico for two months. It was during this experience that I had the realization that yoga is what I love and regardless of money or it’s viability to feed and support me, I would teach yoga full-time and make this my career and my life. In October of 2013, I was broke. In October of 2013, I was broke. I had spent almost all of my savings and couldn’t afford the mortgage on my home. I rented out my house and moved to LA to start this new life. I stayed with friends and looked for yoga teaching jobs. Luckily, I had already made friends who helped me get into a few small studios. 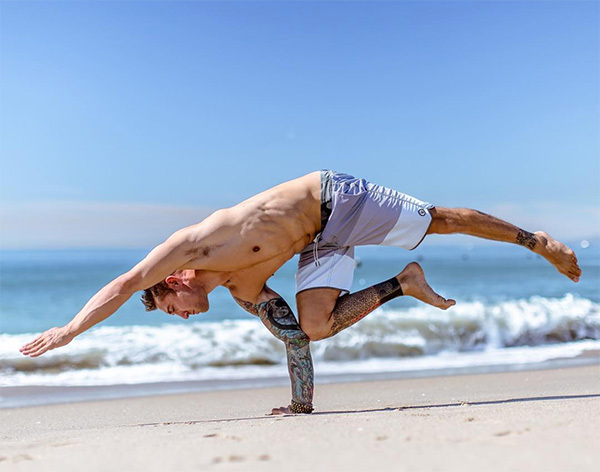 I started teaching anywhere that would offer me a class – brand new yoga studios, kundalini studios and CrossFit gyms. I wasn’t able to get by any of the larger well-established yoga studios so I took what I could. I was teaching 18 to 25 classes a week, driving up to 90 minutes away from where I lived in both directions. I said yes to every class offered to me, subbed every class I could, did every event, most of the time for little to no money. I had one motto: say yes to everything. I had one motto: say yes to everything. When I moved to LA to teach yoga, I knew I would have to hustle, I knew it was going to be challenging, and I knew that I could make it work. I gave my best every day and never quit or gave up hope. I loved that I was doing something that I loved and I couldn’t care less about the paycheck, or retirement or social status. Something that I always tell my new students, if you are teaching yoga to make money, you’ll never be successful. A career as a yoga teacher isn’t measured by the size of your paycheck, or anything that you receive. The success of a yoga teacher comes from your ability to give, share, love and express the gratitude of the path to truth and freedom from suffering. It doesn’t matter if shared with one person or one million, only that you share wholeheartedly. Being a new teacher in LA with no following and knowing only a few people, my classes would often have only 1 or 2 people. LA is over saturated with amazing yoga teachers with large dedicated followings. It is near impossible to build a new name for yourself in that city. I taught to empty rooms for months, but I knew if I kept teaching the best classes I could regardless of how many students, eventually people would show up. That’s what I did, and soon people began to talk, my classes became more popular, and rooms filled up. Equinox (a rather large gym and yoga studio chain) contacted me and offered me a job to teach for them. This was the turning point for me. My classes immediately packed out, they offered me more classes to my already full schedule, and I started to get more private clients. My financial problems were over, but I had a whole new challenge. And now the hardest thing almost every full-time yoga teacher faces – I was teaching so much that my personal practice started to suffer. Morning to night, seven days a week, I was driving from North Hollywood to Redondo Beach, to teach studio classes and private clients. I was exhausted, overexerted and unmotivated. So I said for the first time what I had not said since I started teaching yoga in LA. I started saying no. My teaching came from my self-practice. If I didn’t have a self-practice, what did I have to teach? You can’t pour from an empty cup no matter how much you want to. All this time I had also been posting on Instagram, and slowly growing a following there. It took me one year to grow my Instagram to 10k followers. I thought that it was so crazy that 10k people would follow me. I still think it’s crazy. I owe a lot of my success as a global teacher to social media. But social media is a two-sided sword. I didn’t want to be known as an Instagram yogi. I thought of myself as a real yogi and a real yoga teacher even though I constantly heard what I do isn’t yoga, or that it’s gymnastics. People will label you however they want. It doesn’t matter if that is all they can see. People see what they are ready to see, and judge regardless of what you do or say. I know that if I am truly authentic, then my authenticity will show itself. Those willing to see will see it. I have nothing to prove, and that is liberating. I didn’t want to be known as an Instagram yogi. As my Instagram grew, studios began to contact me, and ask me to travel and teach workshops. I knew that if this were a path that I wanted to take in my teaching career, then I would need to create the space for it to happen. I dropped classes and private clients and consolidated my schedule. The more space that I created, the more that space was filled. I was still teaching a regular schedule and had my regular private clients, but instead of 18-25 classes a week with nine private clients, I was teaching five to seven classes and five private lessons. I also noticed as I cut my classes down, the quality of my teaching improved. A nice side effect of not overexerting yourself. At this time I had around 30k followers on Instagram when a new company called Cody app approached me to teach on their online platform. Cody app, at that time, was a small company consisting of only a few people. The first plan I filmed with them was yoga-based workout plan called True Strength. It was just the owner of the company and myself, some of the equipment was mine, some was theirs, we rented lights, and we really didn’t have a clue how to film at that time. We shot it in two days in-between me teaching my regular yoga classes. Now, Cody app is a huge amazing company with tons of great teachers. My plan that we filmed now has over 11,000 people practicing it. I’ve also gone on to create over 30 more online instructional plans with them and thousands of people practicing with me daily through the app. Teaching online gave me the ability to reach outside of the LA yoga bubble and beyond the constraints of Instagram and is one of the things that helped launch my international career. Now people had an opportunity to take my class and see that I was an actual teacher, not just an Instagram yogi. Once the snowball picks up speed, it grows fast. In about a year, I went from teaching empty rooms to packed classes and studios around the world contacting me, yes, contacting me to teach at their yoga studios! For about a year, I balanced between teaching classes in LA and traveling. I desired to travel full-time and teach, to have the world as my home. After my five-year relationship ended, the one thing that was keeping me rooted in LA, I gave up almost all of my possessions and set off to be a full time traveling teacher. With all the workshop requests, I was able to schedule myself nearly every weekend to teach in a new country or city around the world. As a career yoga teacher, you have a brand. That brand is your name. Everything you do or say helps to build or break your brand. Social media is great, but the best way to build your brand is by word of mouth. I also wanted to build connections as a yoga teacher, to connect on a deeper and more personal level, and the best way to do that is to be able to see, speak and touch your students. This is the main reason that for the past two-plus years I’ve taught nearly 400 workshops in approximately 60 different countries. Even now, my goal remains the same, to give my best daily. 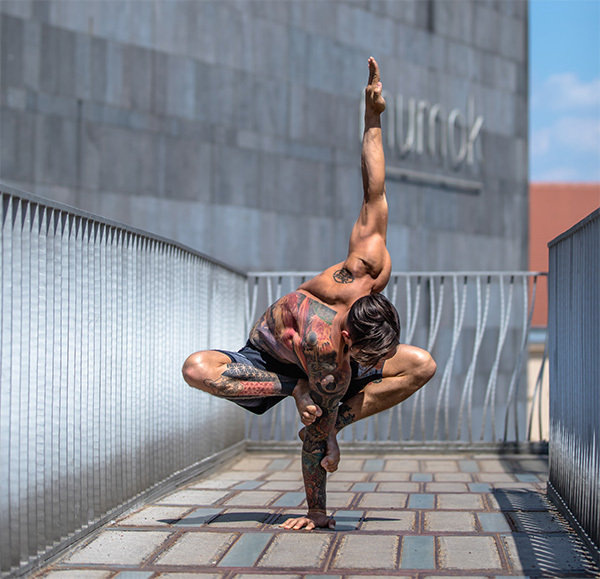 When I moved to LA, I had the intention to be the best yoga teacher that I could be, and if I were to make teaching yoga into a career, then I would have to give my best every day regardless of the obstacles. I have never had any goals for teaching outside of these. Even now, my goal remains the same, to give my best daily. Giving our best is all we can do. If you give your best, you will get the best results, so having goals becomes pointless. You only need a direction on which to focus your energy. My direction and focus have changed for me many times through my teaching career. Being open to the flow of the universe and having the ability to adapt to it’s changing currents will open up possibilities beyond the limitations of your own conceived goals. I would never have imagined in 2013 that yoga would have brought me here and I’m curious to see where it takes me in the future. This article has been read 30K+ times. Bada bing! 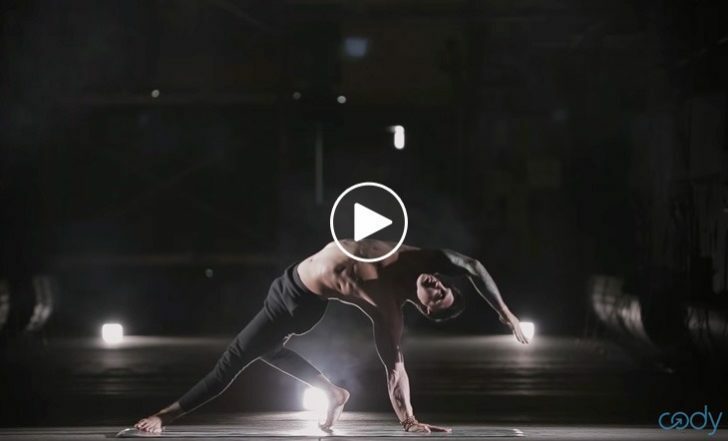 Dylan Werner is an international yoga instructor known for his strong, mesmerizing practice. 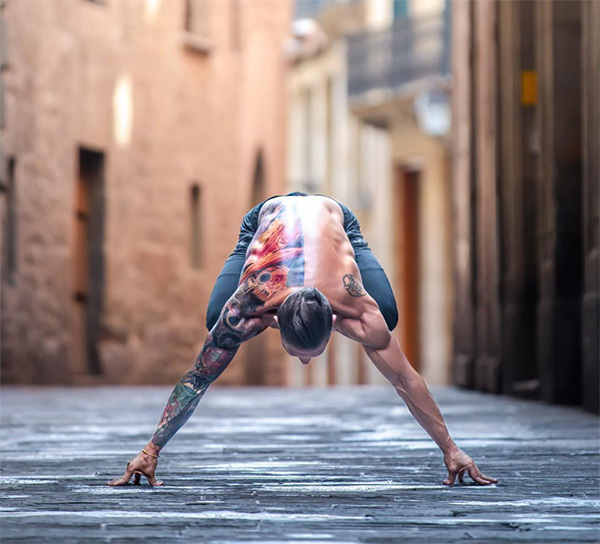 Since 2016 Dylan has been traveling the world teaching yoga in over 60 countries. You can practice with Dylan online at Codyapp.com.